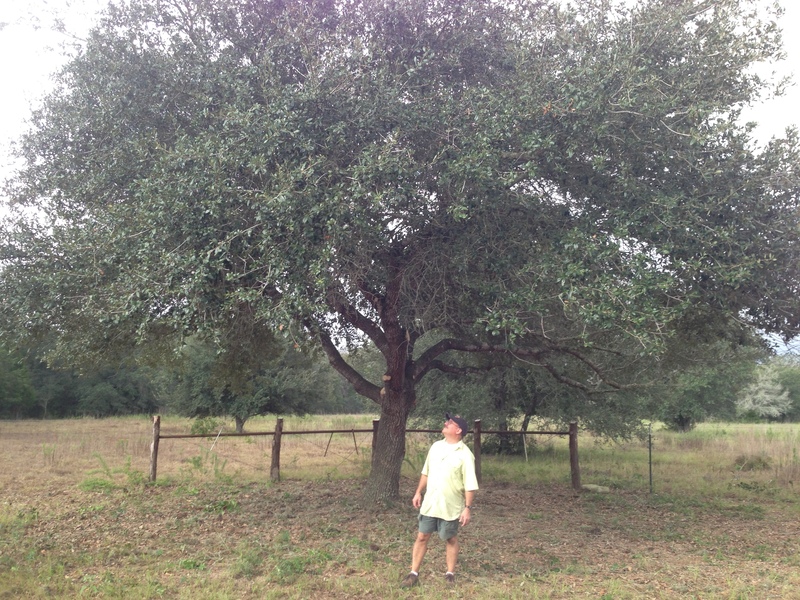 This past Saturday, my friend Bill Crenshaw and I drove to his property outside of Cat Spring to trim a tree. Bill’s place is graced by dozens of beautiful oak trees, most of which have never been trimmed. 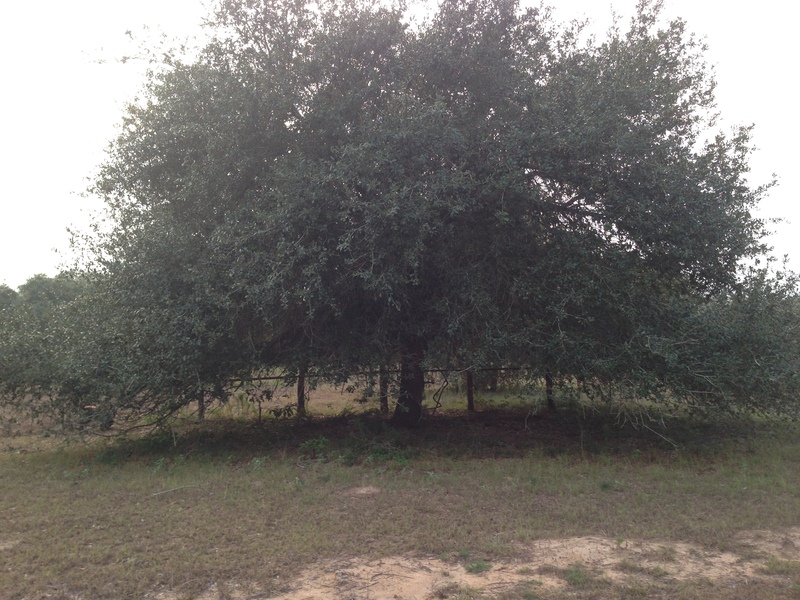 Bill wanted to tackle one tree in particular on the back of his property. The tree’s graceful lines were obscured by lots of growth and downward growing branches that were sucking vital nutrients from the main branches. We started by walking under the tree and identifying all of the branches that needed to be removed. We noticed that the thicker branches on the backside of the tree were hanging as low as the fence line because of the weight of so many downward growing branches. Bill commented that those bigger branches would begin to rise above the fence line when the unnecessary weight was trimmed away. 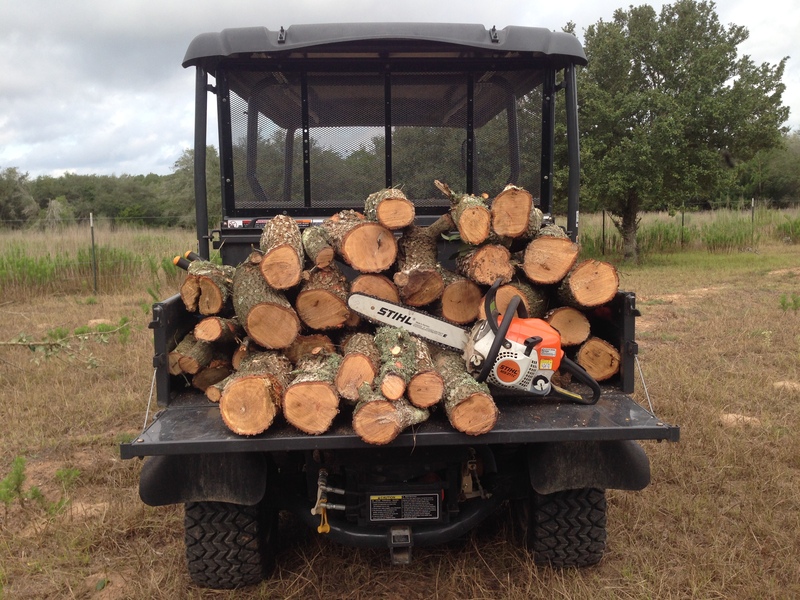 Once we sized up the task, we fired up the chain saw and got to work. 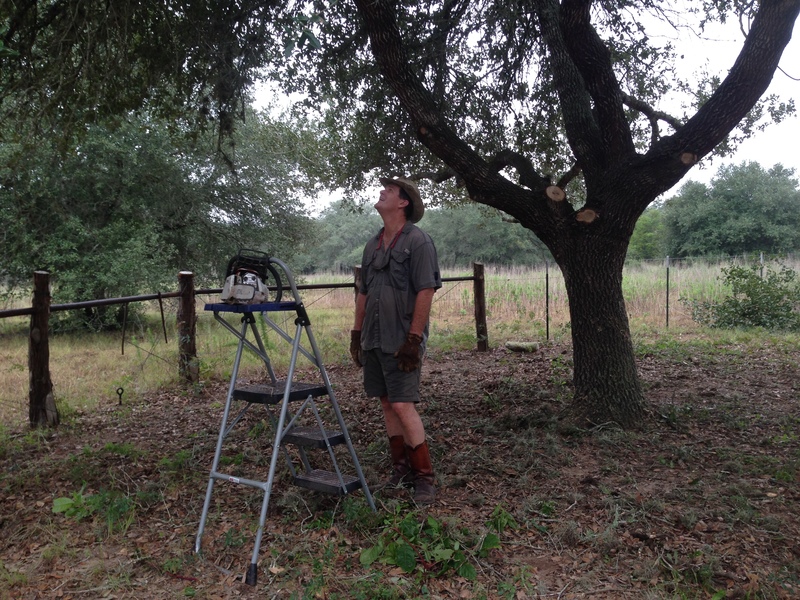 Little by little, we cut off the dead branches and anything that was not growing in an upward direction. And little by little the graceful lines of the tree began to emerge. And, as Bill had said, those branches that had been hanging as low as the fence line gradually lifted by as much three feet or more once we trimmed away the excess weight. 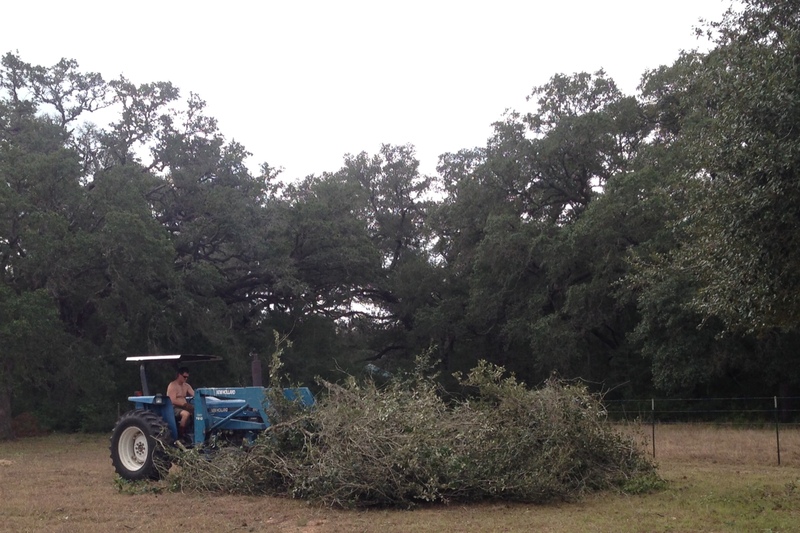 Four hours after we started, we trimmed the last branch. Bill looked at the tree and said that he liked to think of tree trimming as decluttering a tree — removing all of the unnecessary stuff that hides the beauty of the tree and keeps it from growing in the right direction. Decluttering the tree will certainly ensure that more nutrients are directed to the larger skyward growing branches. Our day of decluttering the oak tree reminded me of something the writer of Hebrews said: “…let us also lay aside every encumbrance, and the sin which so easily entangles us, and let us run with endurance the race that is set before us” (12:1). If we are not careful, our lives can become cluttered with stuff that can weigh us down and keep us from running well the race that is set before us. Decluttering is an important spiritual discipline. You might think of decluttering as a way of reordering our lives and seeking to live more simply. In his book The Spirit of the Disciplines, Dallas Willard defined simplicity as “the arrangement of life around a few consistent purposes, explicitly excluding what is not necessary to human well-being.” We must identify those “consistent purposes” that Willard talked about and then we will know what to trim away. Paul warned the Corinthians to guard against allowing Satan to seduce them away from a simplicity of devotion to Jesus. “But I am afraid,” Paul wrote, “lest as the serpent deceived Eve by his craftiness, your minds should be led astray from the simplicity and purity of devotion to Christ” (2 Cor. 11:3). As life becomes more complex, we need to regularly determine what to trim away so that we do not allow the clutter in our lives to distract us from our devotion to Christ.